← …the Rest of the Story. The end of a school year is bitter-sweet: I look forward to having a break, but I know I won’t see some of my graduating seniors ever again. I cry like a baby every year. I can’t help it. My mothering side comes out: I wonder if I’ve done my job well enough. Did I prepare my students for the world outside high-school walls? Are they ready to take the first steps into adulthood? When they are honest with me, as some were these last few days, they admit they are a little scared. I want them to walk through their days with confidence, curiosity, and courage, and it makes me sad that they are nervous about their futures. My Journalism students are a hodge-podge of personalities, but they are dedicated students; they have confidence, curiosity, and courage already. I was curious as to how these students came to possess the characteristics they seem to have in abundance, while other students I have worked with struggled in every area. What can I do as a mother for my own child to create these things in Ian? What did other parents do to raise such strong, successful children? All these thoughts culminated in an assignment for my Journalism students, of course. I asked these sophomores, juniors, and seniors four questions to satisfy my curiosity, but also to know what I can do to become a better teacher and mother. Here is the first question with their responses as to what made them successful students. 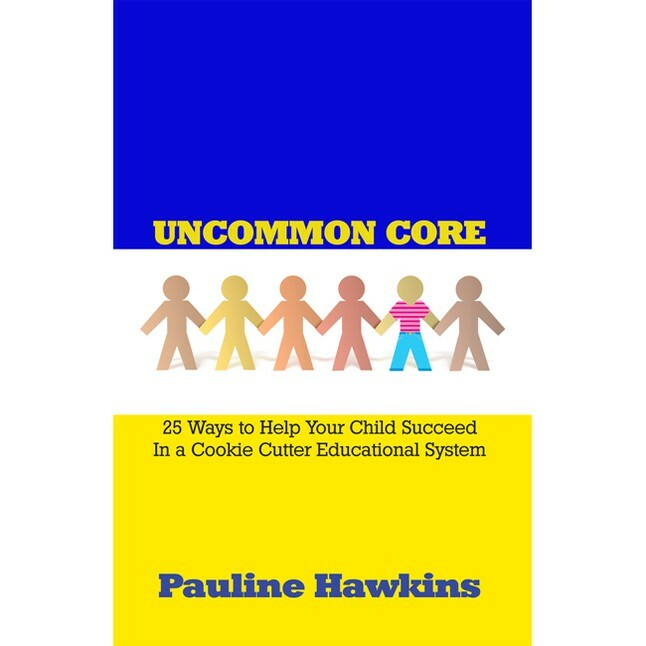 Think of it as a Parents’ Day gift: It’s a guide for how to raise a successful child. For the parents of my students, your children are listening and thanking you for it. I thank you for it. Note: I did edit the responses for parallel construction. I also deleted responses that were the same from student to student. Other than that, these are my students’ answers. Be nice to everyone you meet; you don’t know who they will be someday. Don’t judge; you never know what the person is thinking. Don’t let the small things get to you. Don’t give any attention to those who would kill to get it. Don’t make everyone else happy before yourself; it’s your life. Don’t give into peer pressure; just because it makes you cool doesn’t mean you are cool. Don’t have any prejudice against anyone. Don’t make things more complicated than they need to be. Put school first so that you achieve the most. School may matter, but it is not the most important thing. It is okay to take a day off, just for a break. There’s value in branching out and participating in more activities. Make high school memorable. Do the things (classes and activities) you love. Work hard and study hard. Find a system (for note-taking, homework, etc.) that works and continue to use it. You can find learning materials online that are often better than the teacher’s materials. Create good study patterns: This helped me manage my time better when I didn’t have very many hours in the day because of sports and activities. Getting a B and doing your best is ok: My parents have been really supportive all through school, and while I have maintained Straight A’s almost all the way through high school, I know that my parents would not be disappointed or mad at me if I had gotten a B.
I have to speak up for myself if I want to be heard. I can’t let people walk over me. Have fun while you are still a kid. No one can change your beliefs, but it’s good to see all sides of the problem. Let loose. Have fun. You only go through high school and your teenage years once; just don’t be stupid about having fun. My parents taught me that I can be who I am, and I do not have to fit into the world or conform to its standards. Leave some time for fun (but not too much!). Friends come and go, so try not to get too involved in drama and just learn to enjoy each other’s company. My parents always told me to do my best all the time because if I didn’t they would give the teacher permission to beat me. Always use a knife and a fork and have good manners; girls like men with good table manners. Calculators can provide endless entertainment. My dad taught me how to pee standing up (less bullying this way). I have learned from my parents that I do not have to be perfect; I simply have to do my best. Find what you love to do and then—do it! Nothing is ever just given to you in life; you must always work for what you want. Time management is essential to having a successful life. Believe that you can reach any goal you set your mind to. Whatever you choose to do in life, make sure you are happy doing it. If I want something, then I’ll have to work for it. Make goals and stay focused on them. How did these parents teach their children this? I’d love to hear from you if you have anecdotes that illustrate the lessons and/or any additions to the list. For education I say to anyone going to college or even still in high school… participate in class discussions. Show the professor or teacher that you are interested in the subject and listening because then they will know that you are serious and will be more willing to help you when you ask for it. Have discussions with your professors and show them that you are a person and not just a face in the crowd. It may also be the deciding factor between a B+ or A- . Also sit up front so you will be less distracted and tempted to sleep. AND a lot of professors are willing to bargain with students. I’ve bargained everything from tea and donuts for my classes to extra credit points. Just don’t do it often or they will catch on. And don’t go on facebook before you start an assignment or you will start procrastinating like I am now lol. These things I will teach my child, for social can I also say, the most important thing I want to teach him isn’t on your list! ITS OK TO BE DIFFERENT. Its ok for you to be different and its ok for others to be different. Its ok if not everyone likes you. if I’m going to teach my son anything I hope he learns that its ok to be different. Also always tell people when they have made a positive impression on you… I am in the habit of giving Hallmark cards to EVERYONE lol. Your class did a good job, the tongue in cheeks were pretty funny. College is all about prioritizing and it turns out that you don’t need to put one thing on the top of your list. If you decide that school is the most important thing and that is the only thing you focus on, you will become burned out. All I focused on was college for a while, when one of my friends passed away I became resentful of all the time school took up in my life. I decided that the three most important things in my life would be friends, school, and my son- in no particular order. There is only so much time in the day and so sometimes I overlap time between these. I have done homework at a friend’s house or had them help me with projects that required making posters and stuff. My friends sometimes hang out with me when I’m taking my son out and about. This way you have some time for everything that is important to you. Also, if you are really tired… sleep. When you are really exhausted you aren’t going to write an A essay anyway. Thank you, Jessie! Such great advice!